Helping you build your industry. 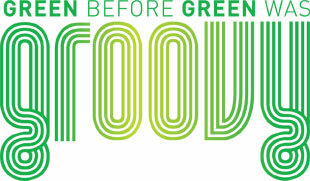 Long before ‘green’ became a buzzword- we believed in building green. Before quality assurance and certification became marketing tactics- we believed our industry must stand behind the quality of its work. Before the proliferation of associations- we believed in the power of collective industry partnership. We believe we can make a difference in protecting our environment by arming builders with knowledge and inspiring a commitment to quality. We believe we can make a difference in the success of our clients by establishing that their practices are superior, backed by standards unmatched in the industry. Standards we created. We believe in building better. In building a better world. To apply our expertise in conscientiously preparing the building industry to meet the growing demands that climate change places on how buildings are constructed and the materials with which they are made. Building Professionals will be the most respected authority in green building practices and standards – a candid leader in the industry and a model of progressiveness and operational excellence. Our clients will share our genuine passion for raising standards in building practices that protect our environment, and enjoy the benefits of abiding consumer confidence in their work; Our employees will thrive in a professional, courteous working environment where their contributions, full involvement and opinions are valued; Our industry will look to us as a model of integrity and accountability in green building standards and practices. Building Professionals is a leading Quality Assurance, Training, Building Science and Industry support provider for the energy efficient and sustainable building industries in North America. For the past few decades, the principles of Building Professionals have focused on improving the knowledge and professionalism of installers and contractors, as they have a direct impact on the performance and ultimate energy efficiency of a building. From training to certification to industry wide quality assurance programs, Building Professionals has the experience, knowledge, passion and creativity to help you “build confidence” with your customers and “professionals” of your industry. Building Professionals expertise lies in building energy efficiency, building sciences and the building envelope and provides services to a wide array of clients such as trade associations, manufacturers, government departments and utilities.